Firstly, I must apologise for being away from the blog for so long, it was one of those times when life just got in the way. In any case, I am back and I thought that the best thing for me to get back in the swing of blogging was another installment of In Retrospect. This time we are looking at names given to eight children in 1880. For boys, names being used in modern times like Reese, Benedict and Archer appeared on eight boys in 1880 while for girls, Millicent, Leslie, Margery, Faye, Elena, Camille and Bernadette were given to eight girls. Boys names on girls were here in this section as well with Thomas, Walter and Ray given to eight girls in 1880. Arizona – (pronounced: ah-reh-ZONE-uh) is a place name derived from Papago Indian origin and means ‘little springs’. It peaked on the charts two years later before the state was named as such. In 2011, it was given to 53 baby girls which may be in part thanks to the state itself but also due to the popular American model, Arizona Muse. Inga – (pronounced: ING-gah) is a name of Scandinavian and Old Norse origin and is the feminine form of Inge. With the meaning, ‘guarded by Ing’, it is a sister to the more popular name Ingrid which was given to 305 baby girls, Inga has not charted since 1914 and in 2011, was given to 21 girls. Kattie – (pronounced: CAT-ee) is on Greek origin and is another short form of the classic girls name Katherine, and it has the meaning of ‘pure’. It has the vintage feel to the name while also being a nickname that works as a name that is becoming popular. Be aware of the possible ‘catty’ associations with your child if you name it as such. It last charted in 1940 and in 2011, it was given to 25 baby girls. Lavenia – (pronounced: LAH-vin-ee-ah) is a variant of the name Lavinia which is of Etruscan origin and is taken from Roman Mythology with a meaning unknown. The Lavinia is legend was the daughter of a King and the ancestor of the Roman People. It was a popular name during the Victorian era. In 2011, less than 5 or none at all were given the variant as a name while 39 were given the original spelling. 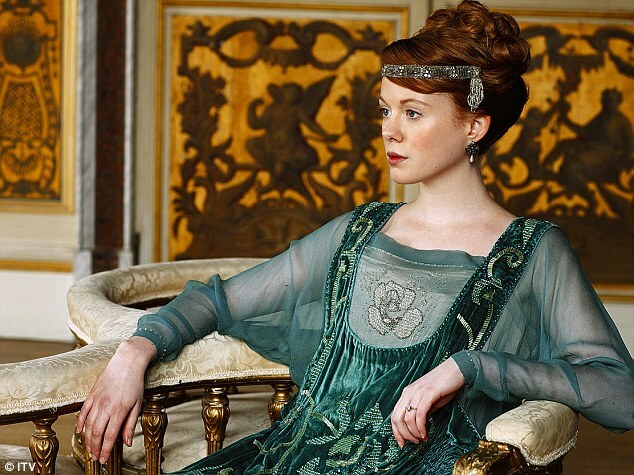 I can see it rising, maybe not dramatically, due to the character of Lavinia on Downton Abbey. The original spelling was also the middle name of Ava Gardner, whose name is now ranked #5 in the USA. For a more subtle tribute to the actress, this might be an option. Magnolia – (pronounced: mag-NO-lee-ah) is a name of English origin that is a flower name. The Magnolia was named after the French botanist Pierre Magnol and already has two nice nicknames, Maggie or Nola, and the character, Magnolia, in the musical Show Boat also goes by the names Noa and Nollie. It has a Southern Belle feel to it and was last ranking in 1940 where it placed #815 before never charting again. In 2011, it was given to 185 baby girls and the amount has been steadily rising in the last few years and I can see it making the Top 1000 in the next few years. So if you are looking for a flower name that is unique enough without being completely uncommon, this is a possible choice. Media – (pronounced: ME-dia) is a variant of the name Medea and is of Greek Origin and has the meaning of ‘ruling’. This would make an interesting name, though I think the original spelling would be better if you fear the first being pronounced wrong. Surprisingly, both versions of this name, despite a rise in popularity of Greek names, was given to less than five or no babies at all in 2011. Orilla – (pronounced: OR-il-lah) is a variant of the name Orela and is of Latin Origin with the meaning of ‘announcement from the Gods’. It has a similar feel to Arella (given to 18 girls in 2011), Ariella (449 girls in 2011), Oriel (5 girls in 2011) and Ariel (1426 girls in 2011) but despite that, the name was given to less than 5 or no babies at all in 2011. It seems to be a name lost back in the 1880s but could make a revival along with other names that have a vintage past. 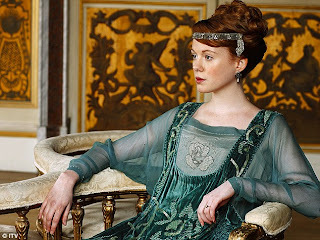 Rowena – (pronounced: ro-EE-na) is a name of Welsh origin and means ‘famous friend’. The name has not charted since 1963 but it does have literary cred thanks to Rowena Ravenclaw in the Harry Potter series and the heroine in the tale Ivanhoe. Its old fashioned charm could win people over. In 2011, only 15 girls were given the name which surprised me due to it being a name in Harry Potter. Despite it being in rare use, you can guarantee that at least people will have heard of it at the same time. Tabitha – (pronounced: TAB-i-tha) is a name of Aramaic origin that means ‘gazelle’. It is currently in the Top 1000 but reached its peak in 1978 at spot #126. The name is currently on its way out, now ranked at #676, a few spots lower than what it was in 1880 (though in 2011, 413 baby girls were given the name). It does have celeb-baby power behind it with Sarah Jessica Parker and Matthew Broderick choosing it for one of their adorable twin girls and it also has ‘Tabby’ as a quick go to nickname. Also, it was the name of the daughter in TV’s Bewitched. Zona – (pronounced: ZOH-na) is a name of Latin origin that means ‘belt, girdle’. It last ranked in 1941 before disappearing from the Top 1000 and in 2011, only 7 girls were given the name. For all the star gazers out there, Zona would fit in with Stella and Luna as it is the name of the stars that make up the belt in the constellation of Orion, and for all the literary lovers, the first woman to win a Pulitzer Prize in drama was novelist and poet, Zona Gale. Buster – (pronounced: BUS-ter) is a name of English origin that denotes a person who ‘breaks things’. Maybe not a thing that you would encourage a child to do, but Buster could have its charms with people who like nicknames. 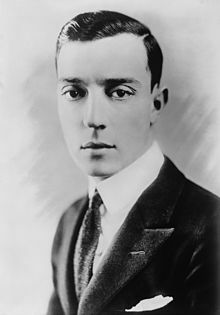 Definitely the most famous bearer of the name was the incredible silent film-star and director, Buster Keaton, though Buster was not his birth name. Actor Jonny Lee Miller, who currently plays Sherlock Holmes in Elementary, gave his son the name Buster a few years back. The name has not charted since 1957 but peaked back in 1909, before Buster Keaton was even making films. In 2011, 14 boys were given the name Buster, though I would presume that more pets, especially dogs, were given the name than baby boys. Crawford – (pronounced: KRAW-ferd) is a name of English origin that is common a surname that was derived from a place name meaning a ‘ford where crows gather’, the name has not charted in the US since 1951. In 2011, the name was given to 33 baby boys but I would say that you would most likely hear this name as a surname, not a given name, but since surname-names are making it, this name I am sure has a chance to be used. Harlan – (pronounced: HAHR-len) is a name of English origin that comes from a surname that means ‘hare land’ in Old English. The brother name to Harlean, it last ranked in 1982. It does also lend itself to the name Harlem. In 2011, it was given to 159 boys as well as 15 baby girls. Hayes – (pronounced: HAZE) is a English surname-name of Old English origin that means ‘hedged area’. It came back to the Top 1000 in 2009 and currently sits at number #776 with 286 boys given the name. Also, 16 girls were given the name in 2011. The name has Presidential pedigree and celeb-baby rights as Kevin Costner gave to the name to his son. Jonah – (pronounced: JO-na) is a name of Hebrew origin that means ‘dove’. For Australians, I think the name is remembered in connection with a character off Summer Heights High that is anything but peaceful. Jonah Hill is currently an actor who has probably helped the name rise in popularity, it currently ranks at #144. The name has Biblical credit as well and would be a less popular choice than Jacob. Marquis – (pronounced: mahr-KEE) is a name of Old French origin that means ‘nobleman, lord of the borderlands’. A name currently ranked #697 in the USA, Marquis is a name in the vein of Prince, Earl and Duke as names that are given to stations in nobility, lower than a Duke but higher than and Earl or Baron, it is a slightly more subtle choice in making your child feel like nobility. In 2011, 331 baby boys were given the name. Orange – (pronounced: Oh-rinj) is a name of English origin that means what it says, ‘orange’, whether you take that to be the citrus fruit or the colour orange. It last ranked in 1901 for boys, and never ranked for girls, but with children being named after numerous other fruits, the name could be possible, but preferably as a middle name or match it with a more common name. In 2011, less than 5, or none at all, baby boys or girls were given the name Orange. Rutherford – (pronounced: RUH-ther-ford) is a name of Old English origin meaning ‘catlle-crossing’ but is probably best remembered as the name of the 19th President of the United States, Rutherford B. Hayes. A name that would fit well with Wellington, the name has not ranked since 1905. In 2011, the name was given to less than 5, if none at all, baby boys. Shelby – (pronounced: SHEL-bee) is a name of Latin origin that means ‘estate on the ledge’. It last ranked in 1999 for boys and has instead found its way within the Top 1000 for girls, currently placed at #218 though the name is not slowly moving down the list. Always more popular for girls, ranking as high as #33, compared to the boys peak at #386, Shelby would make a unique choice for a son today. In 2011, 42 baby boys were given the name Shelby.